A commercial site in the Carnegie area has recently sold for over $1.5 million to a private investor after auction. 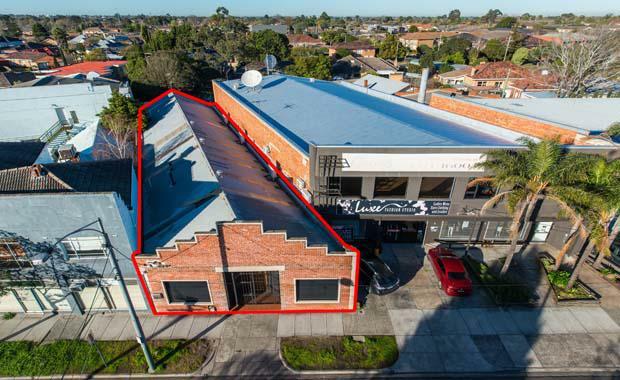 The property, which was sold by Colliers International real estate agents Ben Baines and Hamish Burgess, is a 420 square metres building, which showed great potential for future development, as well as sparking an overwhelming amount of investor interest. Mr Baines said the campaign was well received by a wide variety of purchasers including owner-occupiers, investors and developers. “The marketing campaign generated in excess of 50 enquiries with approximately 25 people in attendance on auction day. “The property was sold shortly after auction to the party which the property was passed in to,” he said. The boutique-style warehouse building, which is featured on the property, has been refurbished at different stages over the years and has previously been used to house different businesses and people, including retail, office spaces and as part-residential space. While it is still unclear what the purchaser is planning to use the building for, Mr Baines said that the new owner plans on using the improvements and local amenities to his advantage. “The purchaser intends to utilise the existing improvements and capitalise on the surrounding amenity and ease of access to major arterials whilst having longer term potential development plans for the site” Mr Baines said. This is the second property in the area of Carnegie sold by Baines and one of his Colliers international colleagues, Jeremy Gruzewski, with the recent sale of a property on Dandenong Road. According to Mr Baines, recent strong sales results and heightened activity in the market are increasing median house price to just shy of $1 million ($923,000), with the median apartment price still hovering at $480,000. “This significant discrepancy and increasing median house price indicates there will be a real demand for affordable housing options, by way of modern apartments, within the Carnegie region” he said.